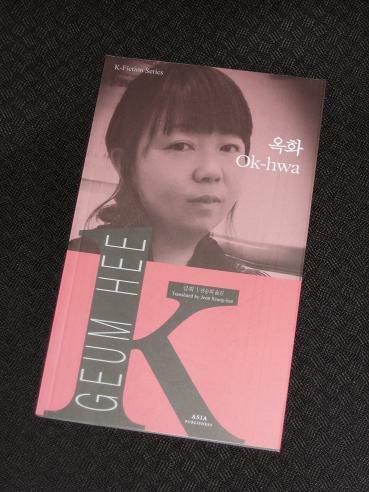 Geum Hee’s Ok-hwa (translated by Jeon Sung-hee), set in an ethnic Korean region of Jilin Province in China, looks at the tension between the locals and the North Korean refugees who periodically appear on their doorstep. Hong, a hard-working mother and member of the local church community, is asked for help by one of these women, someone with a reputation for begging for money and turning down work. Even if Hong hadn’t heard these rumours, however, she would still have struggled to reconcile her Christian duties with her reluctance to help out, mainly because of the memories the requests evoke. 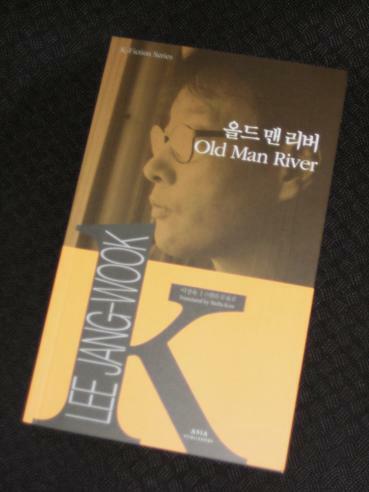 Lee Jang-wook’s Old Man River (translated by Stella Kim) takes us to Seoul, where Alex, a young American of Korean heritage, is working at a bar in Itaewon. 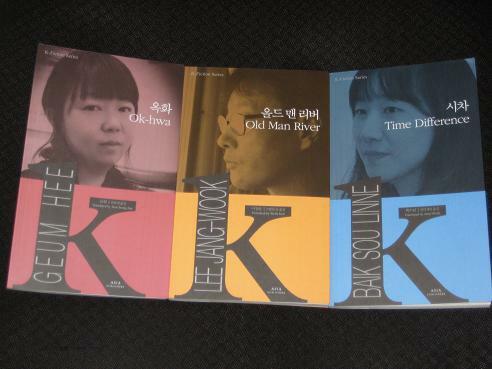 His journey to Korea is ostensibly undertaken in order to locate his birth mother, but the reality is that he’s merely drifting along the river of time, rootless after the death of his adopted father. As he looks back at his life in the States, we meet a wide range of people who have been important in his life, a mix of ethnic types reflecting the lack of stability in the world. I wasn’t overly impressed with this story when I read it last year, and I can’t say my impression has changed much since then. It’s a strange mix of characters and events which never really come together, often feeling a little forced. Like the titular river, things just keep rolling along, and while the slow pace and lack of action is probably deliberate, it gets a little dull. It’s not a terrible story, but on reflection, it’s probably the weakest of the group. Surprisingly, though, the story I had picked out as the weakest of the four last year impressed me a whole lot more this time around. 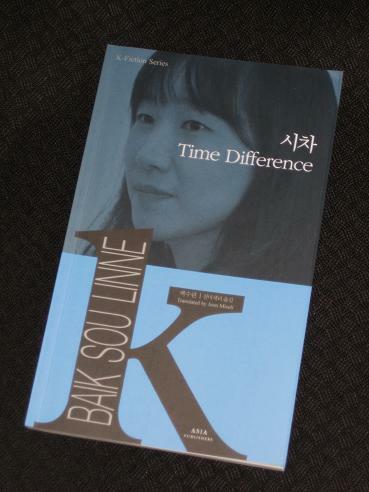 Baik Sou Linne’s Time Difference (translated by Jeon Miseli) also features a foreigner with Korean heritage, but this time in the supporting role. He’s the cousin of a Korean woman who had no idea he existed until her mother charged her with showing the foreigner around the Korean capital. That’s not her only task – she is also to let the visitor know that his mother, who has kept him a secret for decades, doesn’t want to see him. He used to live in a city called Rotterdam, he said. He took out his cell phone and looked up a map of the city for her. He also showed her a few pictures stored in the phone: one of rows and rows of blue-gray-roofed brick buildings and an ashen canal: another of his family with a white couple, a striped cat, and an Asian woman in it. She wanted to say something, but she hesitated for a while, not knowing what were the right words to say at the moment. The people in the picture looked very happy. Eventually, she feels a little more comfortable with her cousin, but there’s still a feeling of something holding her back from opening up fully. It’s only towards the end of the story that we are told the real reason for her hesitance. Having judged this the weakest of the stories after reading it a couple of times last year, I was surprised to find myself rating it much higher this time around. However, having looked at my notes, I managed to work out what was different on this reading. Firstly, I had criticised the translation of the draft I was sent, and while there are still some things I’d like to change, a quick comparison of the two texts showed that a lot of things have been tightened up.